Sleek, slim and lightweight, the Goldtouch Go!2 Mobile Keyboard is the perfect work and travel companion for the on-the-go worker. 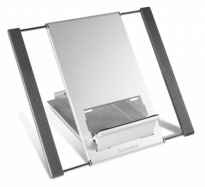 Whether you’re finishing a report on the train, firing off an email from an airport lounge or browsing through a slideshare right at your desk, the Goldtouch Go!2 will help you enjoy all the benefits of ergonomic comfort, regardless of locale. Unlike other travel ergonomic keyboards, which sacrifice comfort for convenience, the Goldtouch Go!2 mobile keyboards feature full-sized keys that are silent, fast and responsive. Just slip this elegant mobile keyboard into your carry-on, and enjoy maximum productivity at home or on the road, without disturbing your coworkers. Even better, the Goldtouch Go!2 features plug and play technology that doesn’t require any additional driver installation. 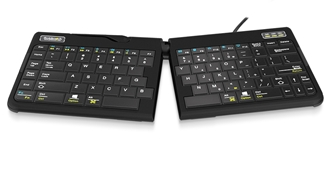 From the box to your desktop, this keyboard is ready to go. 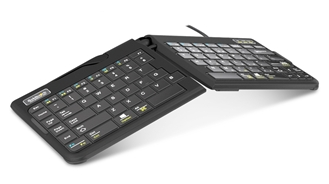 Find your perfect fit: The Goldtouch Go!2 Ergo Mobile Keyboard adjusts from 0º to 30º along the horizontal plane and 0º to 30º along the vertical plane allowing you to find just the right position for you. 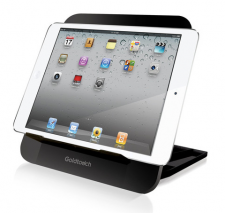 Enjoy the best in ergonomic comfort and precision: The Goldtouch Go!2 features a scissor-switch system for fluid, silent keystrokes with tactile feedback—the kind you can’t expect from your tablet or smart phone keyboard. Built for convenience: From airplane tray tables to hotel desks, this slim keyboard fits neatly within even the smallest spaces. 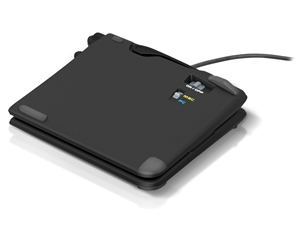 Driver-free installs for a wide range of platforms: Use the Goldtouch Go!2 Ergo Mobile Keyboard with Windows 8, 7 Vista, XP, 2000, and Mac 10.4 and above. Just plug and Play!